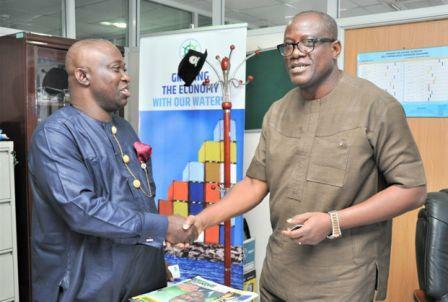 The Nigerian Maritime Administration & Safety Agency (NIMASA) and Business Journal have jointly agreed a partnership to ensure sustainable growth of the maritime sector in Nigeria and the larger economy. 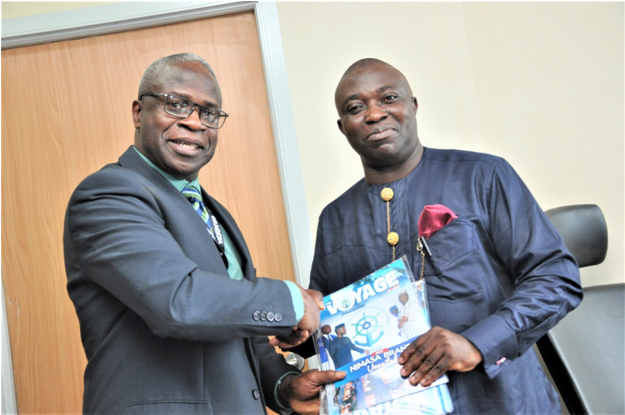 During a courtesy visit to the management of NIMASA by the management of Business Journal yesterday in Lagos, Engr. Rotimi Fashakin, Executive Director, Operations at NIMASA expressed the desire of the Agency to work with Business Journal to sustain the rebranding and achievements of NIMASA. Fashakin, who represented Dr. Dakuku Peterside, Director-General/CEO of NIMASA, described the Agency as a responsible agent of the federal government in the maritime environment. He added that the new logo of NIMASA was designed to effectively identify and project its core values to stakeholders in the maritime industry. Fashakin said that NIMASA is ready to partner Business Journal to create and achieve greater media mileage for the Agency in the process of discharging its statutory functions in the industry. Earlier in his address, Cookey commended NIMASA for granting the management of Business Journal the opportunity to visit the Agency to explore areas of mutual co-operation. He said the time has come for the maritime sector to rise to the challenge of diversification of the economy away from oil dependency. He said a sustainable maritime sector under the leadership of NIMASA will lead to sustainable growth of the Nigerian economy. 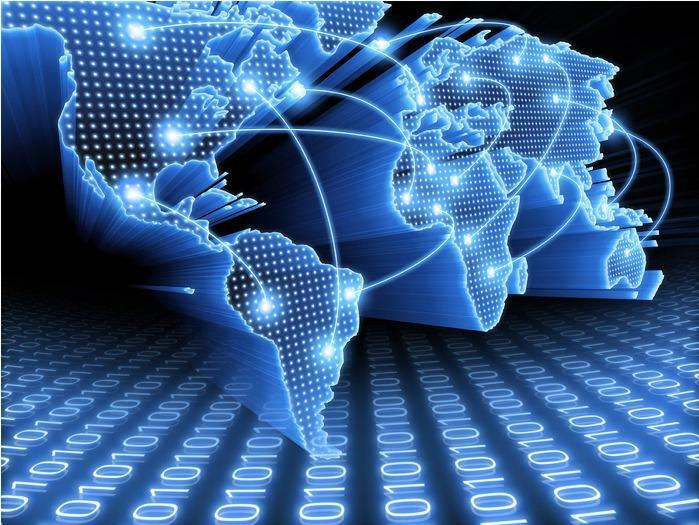 The Business Journal publisher cited a 2012 report by Oxford Economics stating that shipping contributed as much as €56 billion to the Gross Domestic Product (GDP) of Europe while the African Development Bank (AfDB) also declared that Nigeria accounts for 65 percent of total maritime trade traffic in West/Central Africa as at 2011. 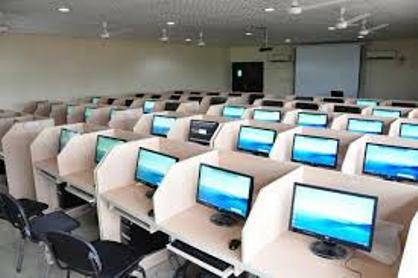 He added that Business Journal which has three distinct segments: Online (businessjournalng.com), weekly business newspaper and monthly magazine, has a policy of strategic partnership with major operators in key sectors of the economy. The Nigerian Maritime Administration and Safety Agency (NIMASA) is the apex regulatory and promotional maritime agency. 1: Nigerian Maritime Administration and Safety Agency Act. 2007. 2: Merchant Shipping Act. 2007. The Agency was established primarily for the administration of Maritime Safety Seafarers Standards and Security, Maritime Labour, Shipping Regulation, Promotion of Commercial Shipping and Cobatage activities, Pollution Prevention and Control in the marine environment, the Agency also implements domesticated International Maritime Organisation (IMO) and International Labour Organisation (ILO) Conventions. Engr. 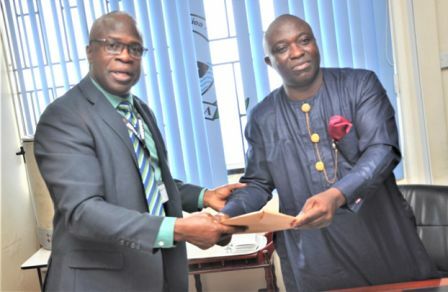 Rotimi Fashakin, Executive Director, Operations at NIMASA (left) receiving a document from Prince Cookey, Publisher/CEO, Business Journal during the courtesy visit to NIMASA by the management of Business Journal yesterday in Lagos. L-R: Prince Cookey, Publisher/CEO, Business Journal, exchanging pleasantries with Mr. Isichei Osamgbi, Deputy Director/Head of Public Relations, NIMASA during the visit.